Melissa Goble of Brainerd, a long-time Birthing Center nurse at Cuyuna Regional Medical Center, joined CRMC’s medical staff as a Women’s Health Nurse Practitioner in June 2018. 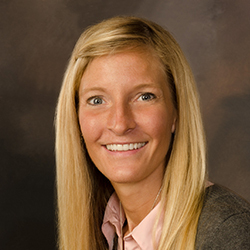 Goble had been working at CRMC since 2005 and in 2016 earned a Doctorate of Nursing Practice degree in Women’s Health from the University of South Alabama. As a WHNP, she delivers comprehensive health care to women throughout the lifespan, with an emphasis on reproductive and gynecologic health needs. Goble will also provide well-woman care, prenatal and postpartum care, care for women experiencing episodic acute or chronic illnesses, ,care to men who have selected reproductive health needs or problems and specializes and provides menopause related health care to perimenopause, and menopausal women to help them transition through the next phase of life. The nurse practitioner earned a Bachelor of Science degree in nursing at the College of St. Scholastica in Duluth and studied at Lake Superior College in Duluth and Central Lakes College in Brainerd. She has received numerous honors and awards as was included in the honor Society of Nursing-Sigma Theta Tau International at the University of South Alabama and the National Honor Society at Central Lakes College. At CRMC, she was a prenatal class instructor, preceptor and Excel Committee of Leaders member. She also served as a volunteer at the YMCA and St. Joseph’s Medical Center, both in Brainerd. Outside of work, Goble enjoys spending time with her husband, Andy, and three children as well as camping, running, rollerblading and enjoying the Minnesota outdoors.